Arrive in Luxor and transfer to the cruise ship. 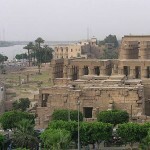 Sail to Esna Lock & lunch on board of the cruise. Arrive Esna Lock. Sail to Edfu. 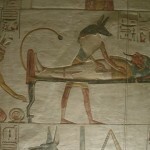 Arrive Edfu, visit the Temple of Edfu, dedicated to the God Horus. Sail to Kom-Ombo & lunch during the sail. Sail to Aswan during the breakfast. Arrive Aswan & lunch on board of the cruise. Proceed with the visits of Aswan including the Temple of Philae, High Dam, Unfinished Obelisk and tour by felucca around Elephantine Island & the Botanical Garden. Sail to KomOmbo, Edfu and Esna, OvernightEsna. Tour ends after breakfast, included onward transfer to Hurghada Airport for final departure..
3- Abu Simbel by car:125.00 USD$ Per Person includes transfers, Entrance Fees and Guide. 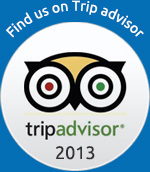 5- Philae Temple Sound & Light Show: 50.00 US$ Per Person includes transfers, Entrance Fees and Guide. 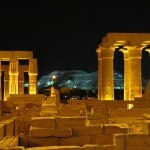 6- Luxor Museum: 40.00 USD$ Per Person includes transfers, Entrance Fees and Guide.